I just finished watching Finding Nemo but before I post about that I have 2 shorts to review. 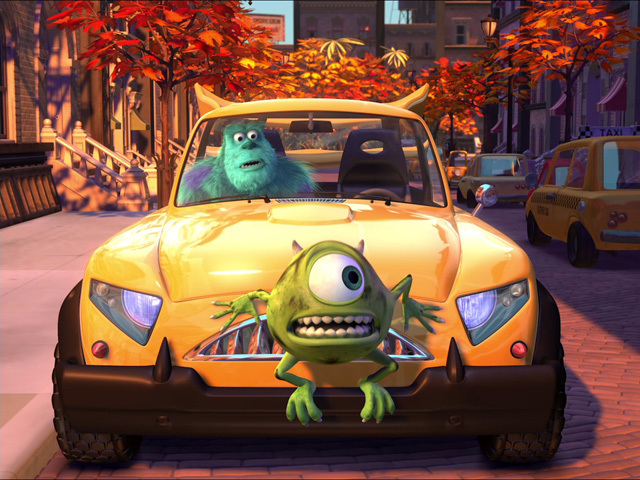 The first is Mike’s New Car which was made in 2002 and included in the DVD of Monsters Inc.
There’s not a ton to say about it because it is more like a deleted scene than a true animated short. Basically Mike has purchased a complicated new car. He wants to show it off to Sully and all hijinks occur. It’s amusing and cute and if you like these characters than you will like the short. However, even more entertaining is to listen to the audio commentary for Mike’s New Car. Instead of the normal directors or writers they have director Pete Doctor and Roger Gould’s two sons Nicholas and Liam (respectively) do it. It is the most adorable thing I’ve ever heard. “”they put it on computer and then they work all together having lunch and then they come home at night and when it’s finished we can see it in the movie theater but then when its been in the movie theaters for a while it gets on a video”. I like how the eating of lunch is an integral part to the completion of the movie. Liam responds as if he has made this same suggestion before “I think water is really hard to do with computer animation” (funny with Finding Nemo in production! “I don’t know. Maybe it’s just hard to get the blue on the screen?” says Liam. “That’s my favorite part” says Nicholas. When they get in the car and it jumps around and the wipers go off the two boys were cracking up. It was so cute. I think more children of directors should do an audio commentary! It was much better than the short itself. 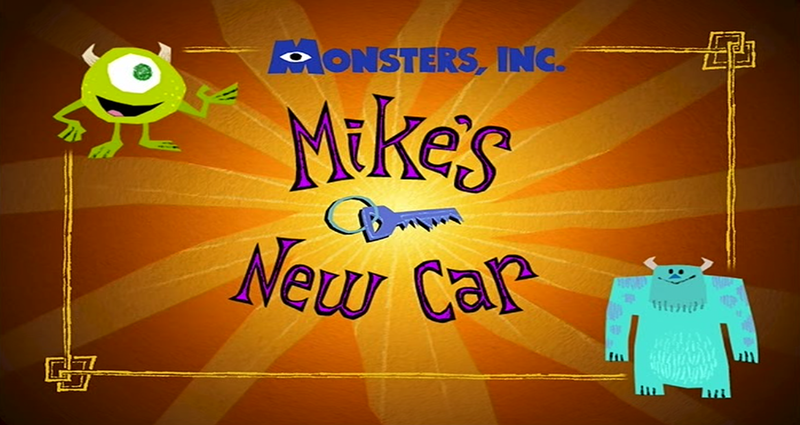 “I think maybe when Mike’s car goes off the screen he never see’s it again and he buys a new car” says Liam. I bet he is right. Overall Grade- B- Audio Commentary- A+ (Great job kids although they are probably like 18 now!). I never liked this short much. 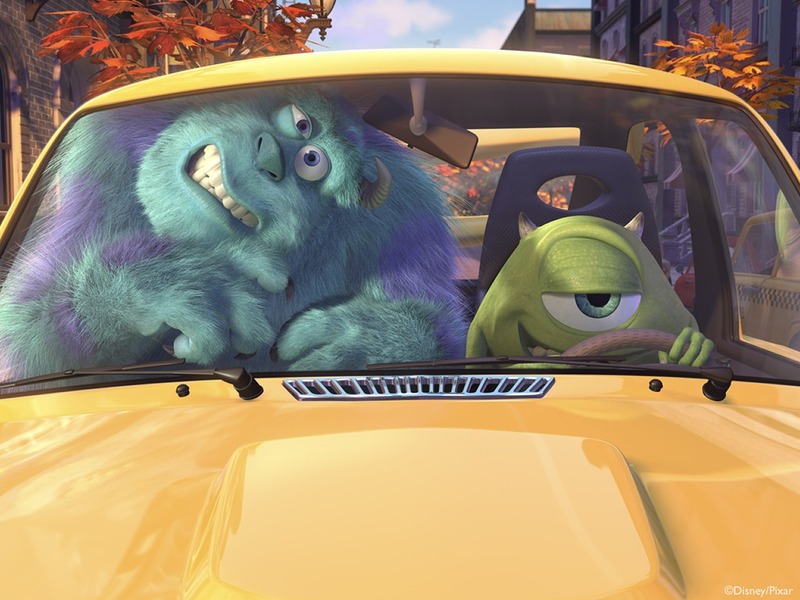 The physical comedy felt out of place for the tone of Monsters, Inc.
Yeah you never seem to like that kind of comedy. I actually think it fits quite well with the tone of Monsters Inc when you think of scenes like the sushi restaurant or Mike getting his fingers squished in Ross’ window. Mike hurting himself to make Boo laugh. Anyway it’s like a deleted scene of the original and not up to par with the true shorts but I like it. The audio commentary from the two boys was adorable, so cute. Those were shorter scenes, though. The sushi restaurant scene was mostly funny due to the context. I also did like Mike getting his fingers stuck in the window, mostly due to the comedic timing. I also loved that it seemed like he was trapped in there, and then the next scene immediately had him coming into the locker room to see Sulley. So I mostly found it funny to imagine him getting out in the intervening time. You’re right about me generally not liking that type of comedy. I liked it in the original Looney Tunes cartoons though, or Roald Dahl books. I think I was too hard on Home Alone in retrospect, and came across too much as that annoying “won’t someone please think of the children?” archetype. I think what annoyed me more in hindsight there wasn’t the violence but the fact that the whole film is set in a very realistic world, and yet it becomes a cartoon with the violence suffering no realistic consequences. Fair enough. I see what you are saying. It’s not great but I didn’t find it terrible either. It will probably be near the bottom of of my shorts rankings. Still, for what it is I thought it was cute. The audio-commentary and hearing the kids laugh and their cute comments really was the best. “They put it on computer and then they work all together having lunch and then they come home at night and when its finished we can see it in the movie theater but then when its been in the movie theaters for a while it gets on a video”. That quote was such a genuine interpretation by a little kid of what his daddy does every day. I loved it especially the lunch being an essential part of making the movie. So cute. Anyway, always appreciate your perspective. Pingback: Pixar Review 13: Boundin’ | Reviewing All 54 Disney Animated Films And More! And It’s a Mad, Mad, Mad, Mad World used to be my favorite movie! I guess I look at physical slapstick comedy as kind of like the Three Stooges. I know it is all controlled and not really hurting the people so just like I don’t take a stunt scene on top of an airplane seriously I don’t take the slapstick too seriously. I find it humorous but I don’t tend to like dark comedies. Like Drop Dead Gorgeous feels cruel to me. So we all have things we like and don’t like. Humor is very subjective. No biggee. The Three Stooges were fun because they were basically as close to live-action cartoons as you can find. What did you think of their shorts? I haven’t seen a ton of them but the one’s I have were great! It’s a lot of fun. You should listen to the audio commentary. I wish I could get a clip. It was so cute. And Mike really is the best. I enjoyed the short, but didn’t think it was amazing! Pingback: Legends of Mor’du Review | Reviewing All 54 Disney Animated Films And More! Pingback: Pixar Review 30: Legends of Mor’du Review | Reviewing All 54 Disney Animated Films And More!